The premiere of the locally produced musical Bright Lights and Promises was held this evening at Bow Tie Cinemas in Reston, Virginia. The writer/director, Tom Basham, and several of the stars were on hand for the event, including actress Jessica Cain and cinematographer Pruitt Allen, who are both members of NoVA Christian Film. 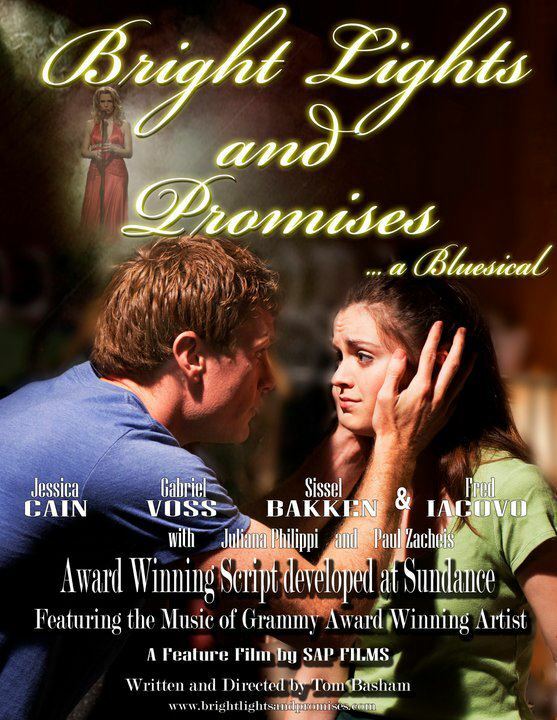 The musical — shot entirely in northern Virginia — tells the story of Jesse (Jessica Cain), a waitress who sheds her apron one night to take the stage as a singer. The soundtrack consists of 11 songs written by Grammy Hall of Fame artist Janis Ian, which are performed by the actors on-screen. Check out the trailer below and purchase the DVD on Amazon, if you like what you see.